WOOD ACRES BEGINS WITH THE END IN MIND. Fostering Citizenship And A Global Perspective. Middle School at Wood Acres encompasses an accelerated curriculum and top caliber materials that drive the academic program. Wood Acres holds the highest behavior standards for their young leaders in the Upper School. Leadership classes are required in 5th grade through 8th grade as is practice in philanthropy, fairness, respect, academic integrity, and a strong work ethic. While academic study is the core of the Wood Acres Middle School, we also realize the daily need for students to “chill”, relax, and catch their breaths to continue the academic day. Work on proper and acceptable socialization is key to helping our Upper School students be well educated, resilient, well rounded, and fun to be around. The sixth, seventh, and eighth grade years can be challenging, but they also can reap the greatest rewards if the entire school community is focused and committed to student growth and achievement. Wood Acres graduates are ready to soar in high school and beyond. Graduates are accepted into virtually every high school to which they apply, due to having experienced an accelerated curriculum, varied teaching approaches, integration of content-rich subject areas into STEM/STEAM models, and dedicated faculty who care, challenge, and nurture the whole individual. What begins at the end and ends at the beginning? That would be the exciting transitional fifth grade year at Wood Acres. The first few months of the fifth grade serve as the capstone learning experience for the Grammar School while ending in the spring with the beginning experiences of the Upper School in terms of both academics and school community activities. This pivotal year is enhanced with a strong, well- researched curriculum, superior teaching techniques, and activities geared to both support and stretch the fifth grade student. Students will experience some departmentalization of curriculum content areas while having the security of a home base teacher who instructs them in the core curriculum as well. A continuation of the now famous Wood Acres overnight field trip adventures and community service work geared especially for them complete the circle of teaching and learning for each student. 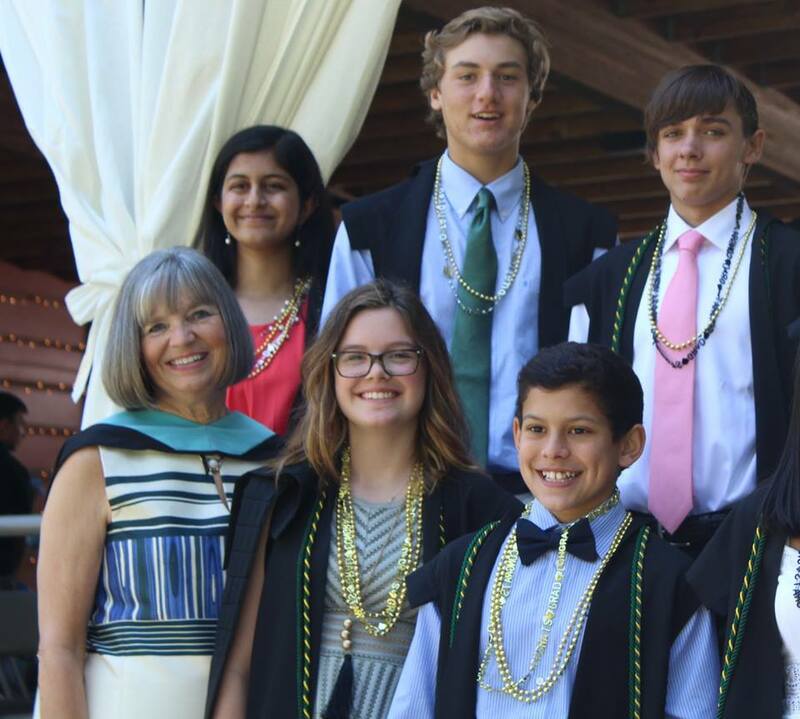 While fifth grade positions itself as a transitional year between the Grammar School and the Upper School, sixth graders find themselves from day one in a different academic and social environment. Student lockers, more student liberties coupled with more student responsibilities, and a longer academic day are just a few of the changes that help define a young adult’s education at Wood Acres. An accelerated curriculum and top caliber materials drive our academic program with special attention to the unique developmental needs of young men and women in their ‘tweens’. Sixth graders must embrace their need for answers to the many “whys” that result during study as well as ample time for them to be heard. Students at this age sort through maturing thought processes that on occasion revert to a much younger age. Learning must matter to a sixth grader before they will embrace the challenge that comes with advanced curriculum. Our experience is that Wood Acres students can do just that guided by outstanding faculty, well-developed academic studies, and support at home. Seventh grade is the “crossover” grade. For the first time, students are closer to their high school graduation than they are to their early days in Kindergarten. Everything is maturing; everything is changing; everything can be overwhelming. Never has there been a more important time for strengthened home-school connections. Wood Acres curriculum reflects more strongly than ever the importance of careful attention to a student’s total education- academic, social, emotional, and physical.